Can we live Mandela's way? 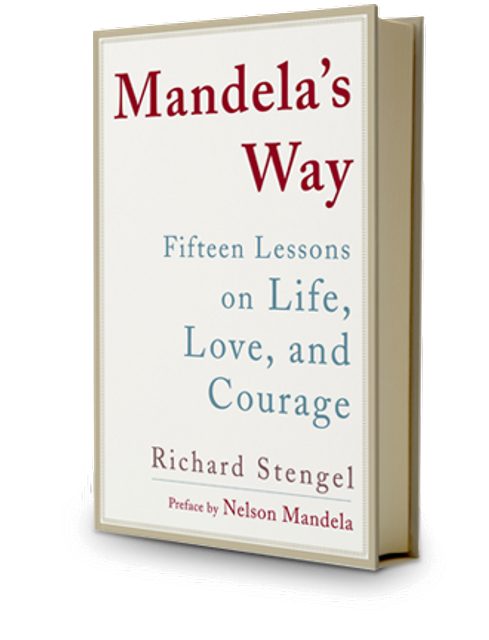 Mandela’s Way is a distillation of countless hours of conversation between Rick Stengel and Nelson Mandela's into what Stengel sees as fifteen core truths of Mandela’s life - truths we would all be wise to live by. Each truth is expanded upon and brought to life with examples of its application in Mandela’s own life. They are: Courage is not the absence of fear. Be measured. Lead from the front. Look the part. Lead from the back. See the good in others. Keep your rivals close. Have a core principle. Know when to say no. Know your enemy. It’s always both. Love makes the difference. It’s a long game. Quitting is leading too. Find your own garden.